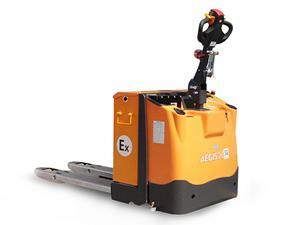 Zowell can perform refitting of electric pallet jack trucks according to the practical requirements of the customer. The following is a case where an electric pallet jack truck was refit to be more suitable for specific applications. The Zowell electric pallet jack truck is an explosion-proof pallet truck that delivers reliable performance. The design and structure of the truck satisfy all of the safety and performance requirements across many industries. The machine case is equipped with a ground copper woven bag and cable entry to optimize safety. The stainless steel fork ensures the durability and operating stability of the pallet jack truck. The truck is specially designed to be fire and explosion proof. 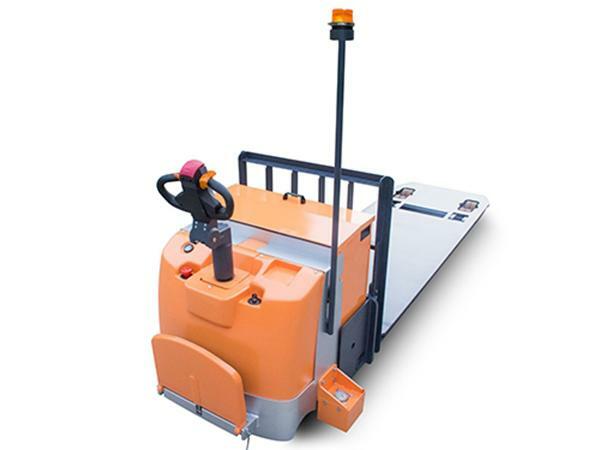 The electric platform truck is a heavy forklift truck with reliable performance. It can realize rapid and safe horizontal and vertical transporting. Different from the fixed platform truck, this truck features a lifting function and is equipped with EPS to ensure smooth direction changes. The CURTIS 840 multi-function meter displays the charging level of the battery, operating time, error code, driving speed, and turning angle. The electric platform truck can be used in various working conditions and applications. The length and width of the platform can be customized according to your requirements. The electric paper roll pallet truck was designed by Zowell for transporting rolled goods. The design features a diamond-shaped fork and low slope formed by two flat steel beams that are able to fit perfectly inside the tube materials. You can also choose the most suitable fork width according to your transporting requirements. 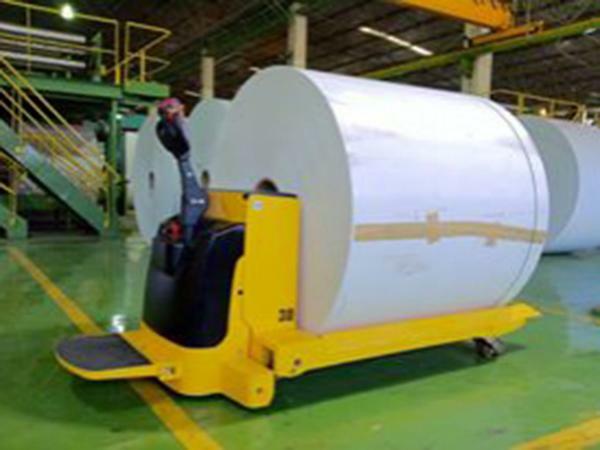 This truck is suitable for the transporting of paper rolls, carpet, textile rolls, cables, wood, steel coils, tires, and other cylindrical materials.